O'Brien Legal assists individuals and businesses with real estate and business legal matters, including transactions, advice and disputes. Bradley J. O'Brien is the principal attorney. 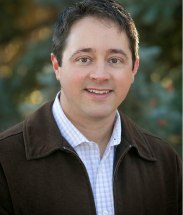 He has more than 10 years of legal experience and is licensed to practice law in Colorado. Mr. O'Brien formerly practiced at a large law firm, where he gained experience with large and complex matters. At O'Brien Legal, the objective is to provide that big-law expertise for clients and matters of all sizes while being more responsive and more affordable than big law firms. O'Brien Legal helps its clients navigate complex legal issues. Whether it is closing a deal or resolving a dispute, O'Brien Legal identifies the key facts and applicable law that matter the most to reaching the client's objective. Experience from hundreds of transactions and disputes helps O'Brien Legal give its clients a fair and accurate assessment of the real-world facts and applicable law. O'Brien Legal identifies ways to mitigate risks and financial exposure and to reduce or avoid litigation costs. O'Brien Legal uses plain language and minimizes technical jargon in its analysis and recommendations and in drafting documents. This approach allows clients to spend less time on legal matters and more time on their business. Prior to becoming a lawyer in 2005, Brad was a corporate finance and real estate finance professional for nine years, including five years as an associate director with a Fortune 100 company, and four years in commercial real estate and multifamily residential lending. In addition to a special focus on negotiating and closing real estate transactions, he strives to resolve clients' legal disputes short of trial through settlement discussions, mediation and/or arbitration at strategic points in the case timeline.